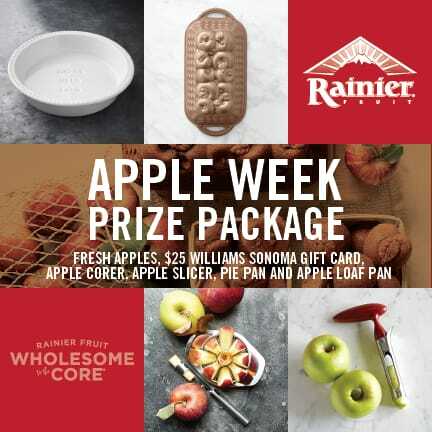 Disclaimer: I have been provided with products for recipe development and a great prize package for my readers as part of #AppleWeek. All opinions are my own. 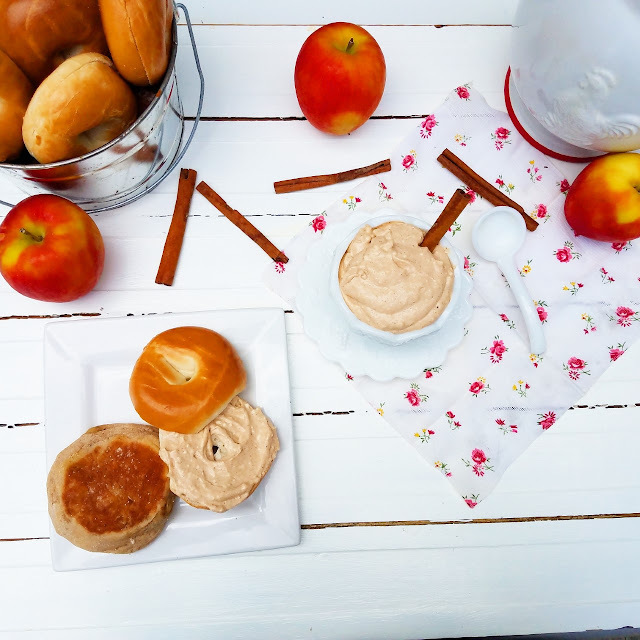 Combining the wonderful taste of fall apples in a classic apple butter with the creaminess of cream cheese, creates the most amazing spread for your bread and bagels. No need to go buy those expensive store bought flavored cream cheese spreads at the bagel store or the grocery store! You have a block of cream cheese most likely in your fridge so go ahead and make your own yummy spread! 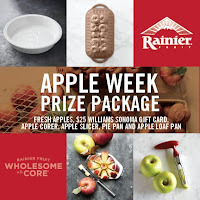 You'll find it delicious on french toast , English muffins, and so much more! Jan's Tip: This recipe makes for a "thinner" cream cheese spread. If you want to make it a thicker spread, add more cream cheese, but it will reduce the "apple" flavor just a bit. You can compensate for that some by bumping up the spices just a bit more. Both versions are wonderful! I prefer the thinner, more "apple" flavor! .. 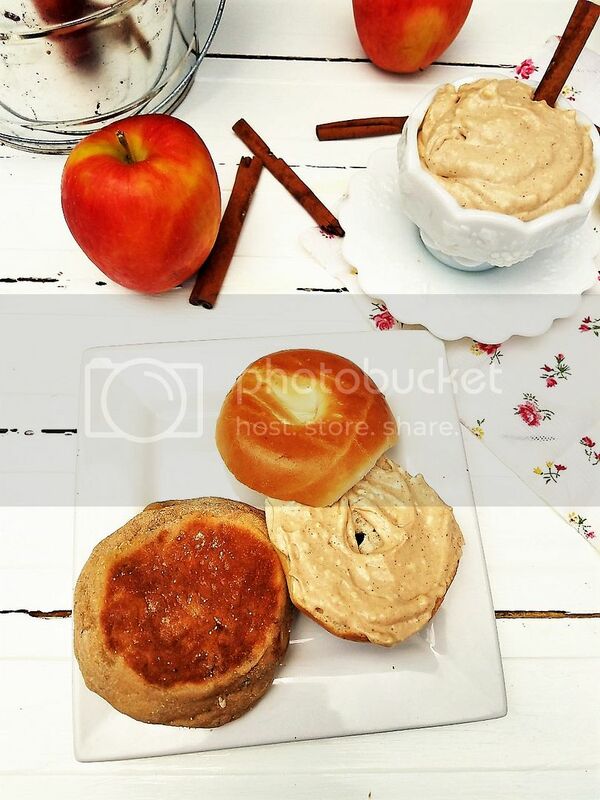 It's fantastic with Pumpkin Butter also! Mix together all ingredients in mixer until cream cheese is well blended.Store in air tight container, in refrigerator.Serve on bread, rolls, muffins, bagels. Thanks for sharing on the All Things Apple Celebrate 365 Blog Party :) What a great recipe for all apple fans. Darn it! We polished off the bagel this morning. I'll have to go back to the store to try this. Thanks for sharing. Great idea, perfect addition to a breakfast buffet. 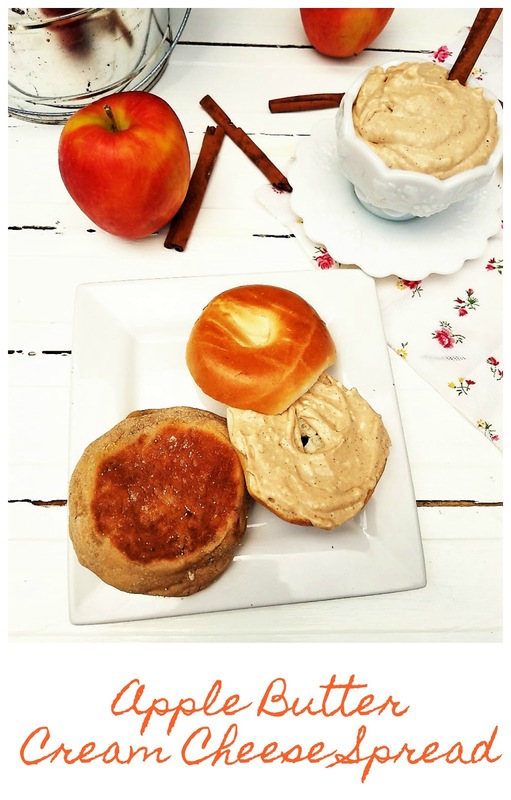 What a great idea to jazz up your breakfast routine! It looks delicious!